Is the cause of fibromyalgia both a nature/nurture conundrum? 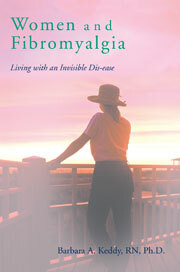 The question arises about why fibromyalgia is more prevalent in highly sensitive women and men. The debate about nature/nurture has not yielded specific answers and for awhile I have thought of it as a moot point. As a nurse/sociologist I have leaned toward the impact of the social environment in early childhood. But, as some science in human sexuality suggests there is a relationship between levels of testosterone in utero and the extent to which specific traits are manifested after birth. I am now even more confused. However, I continue to believe that both what happens to the development of the fetus and afterwards in the environment are both relevant, although to what degree each plays a more significant role may never be known. This entry was posted in Fibromyalgia, nature versus nurture in fibromyalgia, PTSD, sexism and fibromyalgia, testosterone and fibromyalgia, women and stress on August 14, 2017 by Barbara Keddy.